As part of our 2015 blog revamp, we’re instituting a number of new series posted here for your viewing pleasure. 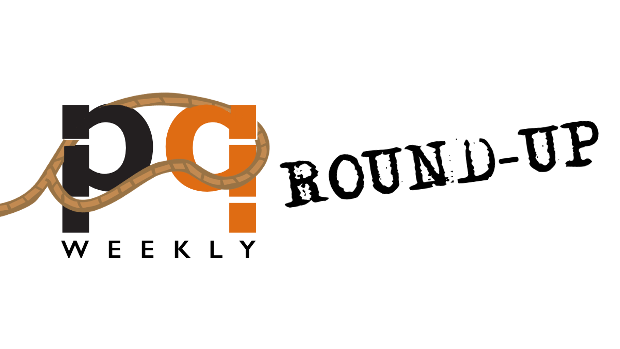 PQL Weekly is a round-up of the most shared links in our social media network, in convenient digest form right here on the blog. You’ll find fun bookish articles, book reviews, quizzes, book recommendations and more. Be sure to share your own great bookish links of the week in the comments section below. Laurie Lewis wrote an honest and incredibly touching article on what it’s like to feel old age creeping up. Matrix Magazine and Invisible Publishing are offering you an opportunity to see your work in print! You can find the poetry contest guidelines here. Electric Literature published an infographic of the most popular books of all time. Some staggering numbers here, people, and presented in such a delightfully trendy format. Michelle Dean’s National Post review of Sweet Lechery characterizes Jeet Heer as a congenial party host whose enthusiasm is infectious. We like this very much. In a recent review on Canadian Poetries, Shawna Lemay lauded The Essential Anne Wilkinson’s “nerve-like” poems that “set the heart to pounding”. That’s it for this week’s link round-up. Check back next Friday for the next edition of PQL Weekly! This entry was posted in Letters from the Porcupette (the Intern's Blog) and tagged Essential Anne Wilkinson, laurie lewis, PQL Weekly, Sweet Lechery. Bookmark the permalink.